New mom Krista shared a wonderful view as she observed her little girl's interests peak with crawling. Yet her nightly need for mom places her back into the arms of needing comfort. Mobility has a way of making little ones seem too big for their tiny bodies. Once their adventurous side spikes, everything and everyone is a bit more interesting! 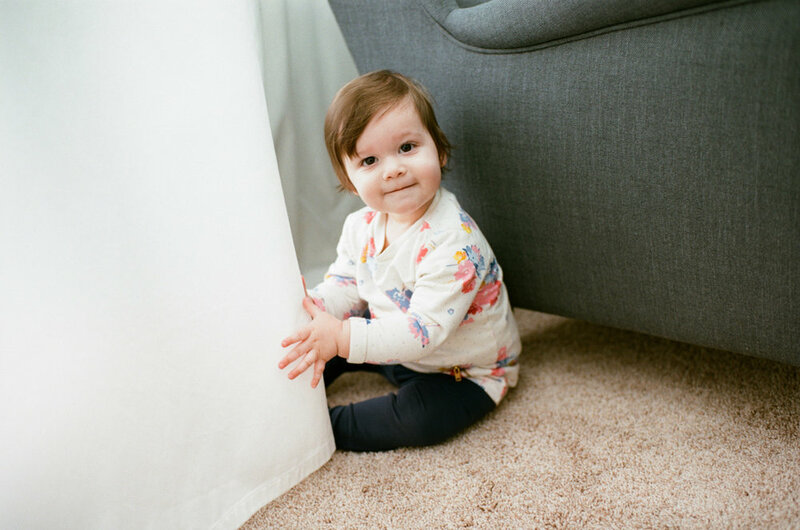 Thank you Krista for sharing, Emma is such a doll and a joy to see her explore!